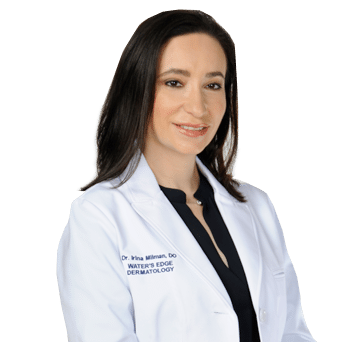 Dr. Milman received her medical degree at Nova Southeastern University. She then went on to complete her Internship and Family Medicine Residency at Broward General Hospital. Finally she completed her Dermatology residency at PCOM/North Fulton Hospital medical Center in Georgia, serving as a chief resident in her last year. In between the two residencies she spend time working in Private practice in Family Medicine. She also spend time doing research and studying dermoscopy with Dr. Harold Robinovitz, a Mohs surgeon and world renowned dermoscopy expert. When not working Dr. Milman spends her free time with her husband and two daughters. She also enjoys photography and the outdoors.